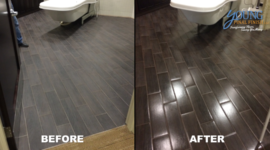 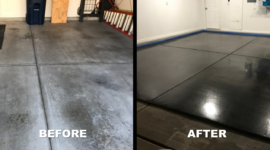 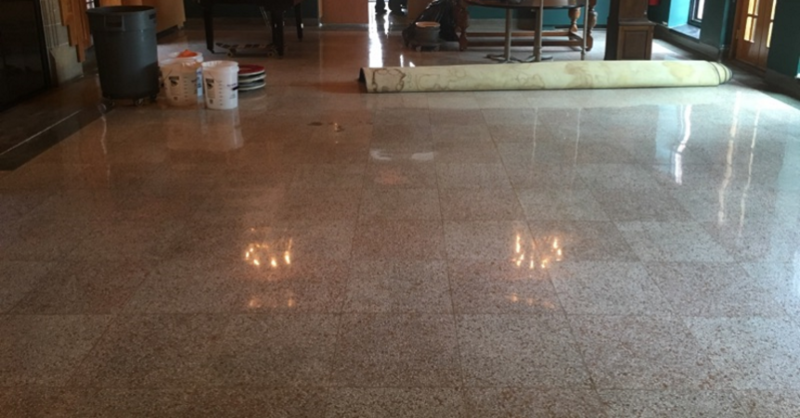 We were contacted by another floor restoration company for this project because they didn’t have the ability to complete this job. 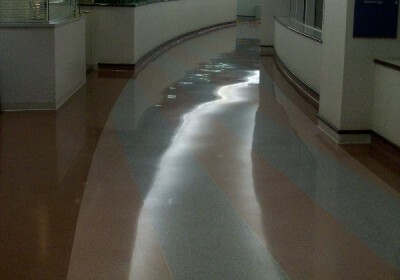 Always up for a challenge, we agreed to do the work. 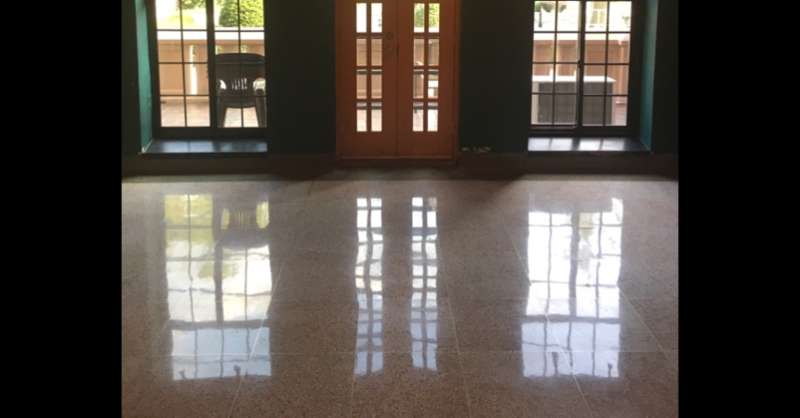 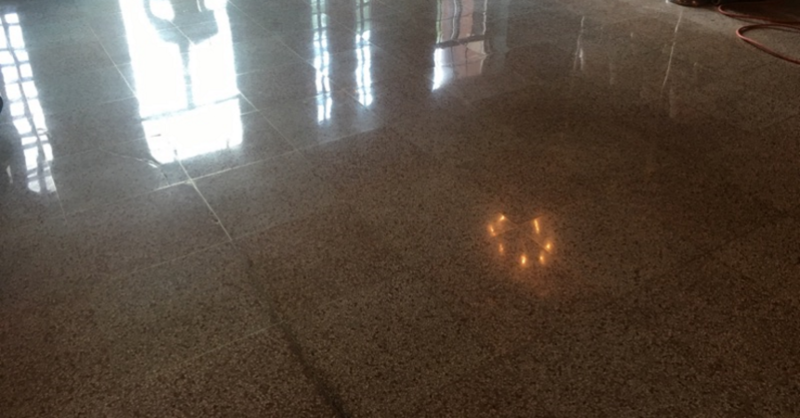 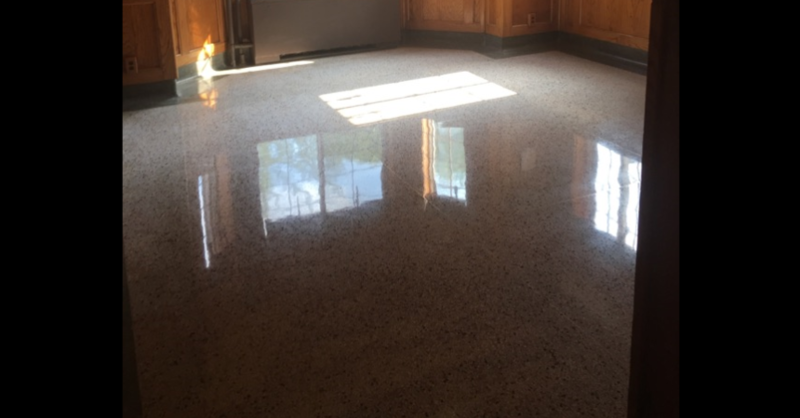 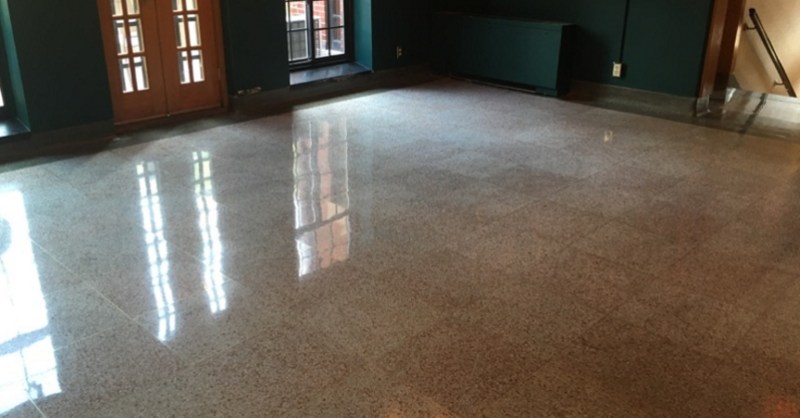 Built in 1929 as a French Chateau, it is a beautiful home, but the residence couldn’t recall the last time these original terrazzo floors were restored and being a fraternity home, you can only imagine the wear and tear this floor has seen over the last 87 years. 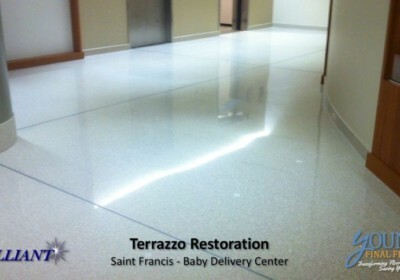 One thing the pictures don’t show is that once the floor was completed we were able to see some beautiful colors in the floor no one knew was there (happens often with very old terrazzo). 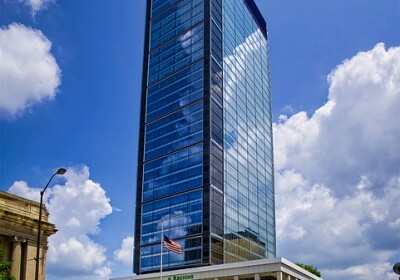 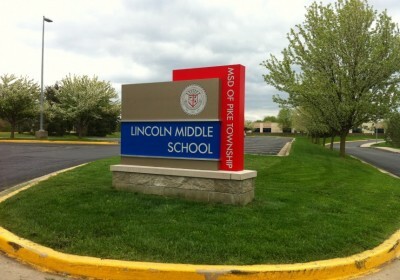 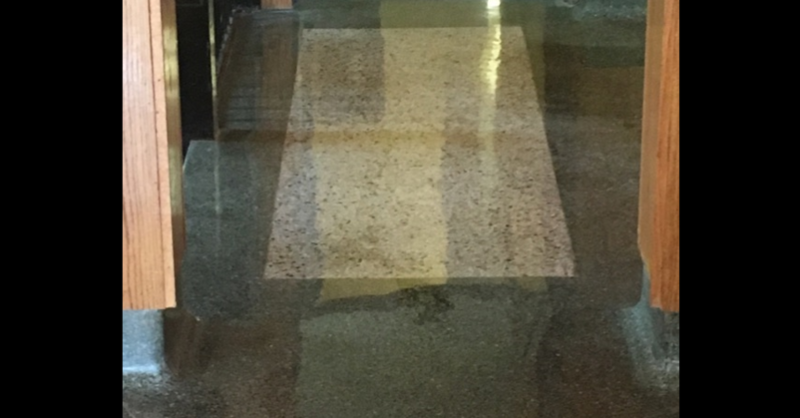 But we completed the work and the customer couldn’t be happier. 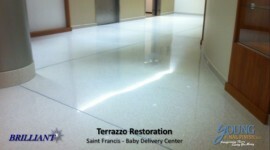 Another terrazzo restoration job well done for Young Final Finish.